Apple has officially launched its 2016 flagship Phones, the iPhone 7 and iPhone 7 Plus today. And we take a closer look at all the details of the devices. 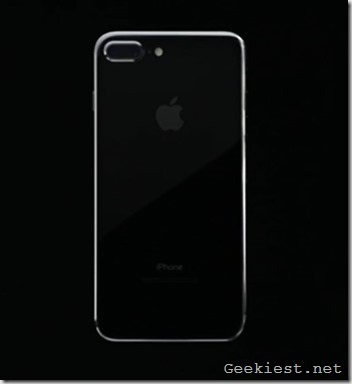 The iPhone 7 sports a 4.7 inch Retina HD display which is 25% brighter, has a wide color gamut and also supports 3D Touch. The iPhone 7 Plus features a 5..5 inch Full HD 1080p display. The phones will run on iOS 10, which will be released on September 13th. The phones are powered by Apple’s newest SoC, the Apple A10 Fusion, which is a 64-bit quad core chipset. The newer processor is 40% faster than the A9, and 2 times faster than the A8. The GPU has also been upgraded to a substantial amount, and is now 50% faster than the A9, and thrice as fast as the A8. The iPhone 7 will offer 2 hours more of battery life than the iPhone6, while the iPhone 7 Plus will offer 1 hour more than what the 6s Plus offers. The Home Button which you can use for normal actions like Touch ID, Apple Pay, Siri, is now customizable. It is force sensitive and uses a new taptic engine, to provide taptic feedback for quick actions, messages, notifications and even ring tones. Since it is a force touch button, you will no longer need to press the button, it will sense the pressure you apply to work accordingly. 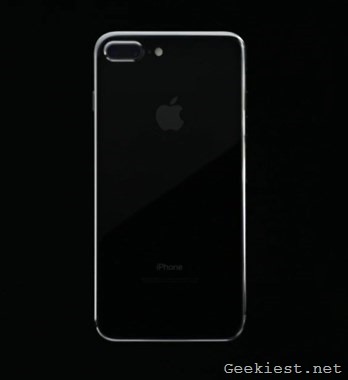 The iPhone 7 features a 12 megapixel rear camera with Optical Image Stabilization (OIS), an f/1.8 aperture, and a Quad-LED Flash. Live Photos can be edited thanks to Video Stabilization in the ISP (Image Signal Processor). The selfie lens on the phone is a 7 megapixel Facetime HD Camera. 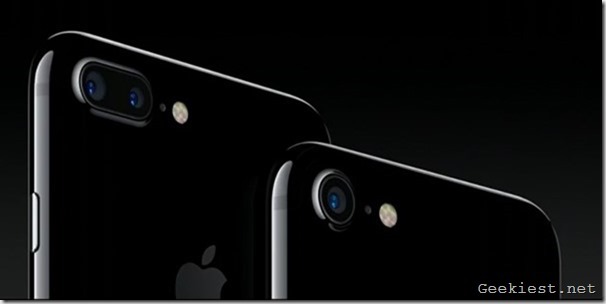 The iPhone 7 Plus features Dual 12 megapixel rear cameras, one which is a wide angle lens, and the other being a telephoto lens. There is a new zoom button in the camera app, which can be tapped for 2x, and which can be dragged to 5x or 10x. The digital zoom is handled by the telephoto lens, which lets you snap great pictures without compromising on the quality. The iPhone 7 Plus cameras produce a depth of field effect (blurred background + sharpened foreground). This feature is not available yet, but will be available later this year as a Free update for all users. Apple has skipped the 3.5 mm audio jack, in favour of its Lightning connector. But don’t worry, you will get a lightning connector to 3.5 mm analog adapter included free in the box along with the earpods, which is also free. Speaking of audio, the iPhone 7 has stereo speaker, one on the top and one on the bottom, which result in the phones being twice as loud as its predecessors. Apple also launched a new wireless earpods called AirPods. These are stereo speakers which are powered by the new Apple W1 chip, and come with infrared sensors which detect when you put them in your ear. The Airpods deliver 5 hours of listening on a single charge, and up to 24 hours of playback with the charging case.The Apple AirPods have been priced at $159 and will be available in October. The iPhone 7 has been priced at the same price as the iPhone 6S, at $649, while the iPhone 7 Plus will retaill for $769. The devices will be available in three storage variants: 32GB, 128GB and 256GB, with the JetBlack variant available only in 128GB and 256GB. The iPhone 6 and 6S has also been given a storage upgrade to 32GB, 128GB and 256GB. The iPhone 7 and iPhone 7 Plus will be available for pre-order on September 9th, and will begin shipping a week later on September 16th.